City dwellers across the world are wont to bemoan the negative effects of noise pollution, and New Yorkers are no exception. Whether it's from planes, trains, automobiles, construction, screaming drunks or barbaric yawp, this city is a loud place. 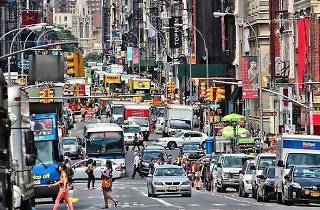 But a new study out of the NYU Langone Medical Center suggests that noise in New York might not be such a bad thing. Researchers at the university cross-referenced noise complaints filed via the city's 311 phone system in 2014 and the body mass index and blood pressure among 102 residents in the city's noisiest neighborhood. Surprisingly, they found that the noisiest neighborhoods in New York were also the healthiest. Everyone surveyed was a participant in a larger study on low-income housing, neighborhoods and health in New York. The data they collected showed that low-income residents living within a five-block radius containing more than 1,000 noise complaints had an average BMI 2.72 points lower than residents in neighborhoods without any noise complaints. Similarly, the average blood pressure of those surveyed was 5.34 points lower than noiseless neighborhoods. One shouldn't mistake a noisy neighborhood as a cause for better health, though. The study's senior investigator Dustin Duncan notes that loud neighborhoods also correlate to walkability, and that high levels of noise is merely a correlation. "To be clear, we're not saying that neighborhood noise causes better health, and a lot of further research is needed to explain the relationship we found between this kind of disturbance and health," Duncan says. 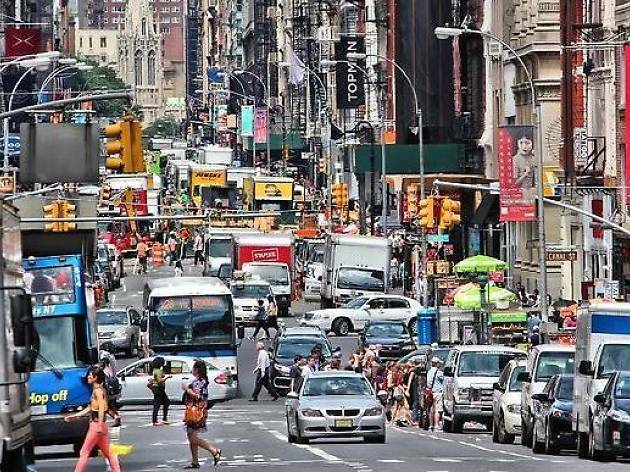 "It may just be that New York's noisiest neighborhoods are also the most walkable and that its residents get more exercise that way. But our study shows that neighborhood noise may have an indirect impact on health that is different from known risk factors, such as diet and sedentary lifestyles." Beyond walkability, the study also notes that social factors like peer pressure could be at play. Some of the city's noisiest neighborhoods are quite fashionable areas, which could lead to people being "more self-conscious about their physical shape and fitness than poor people in less noisy parts of the city." Researchers at NYU will continue to look into the effect of neighborhood noise on New York residents. Their next step is to control for walkability and population density in order to more precisely pinpoint the effect of noise on neighborhoods. Poorest interpretation of a reasreach study ever. Lol! Allow me to explain: The number of 311 noise complaints does not indicate higher noise levels. The opposite may be true: Residents in quieter neighborhoods are more likely to complain about noise than people in noisier neighborhoods who have given up on complaining because of the many different sources of noise. Also, the biggest noisemakers in decibels are car horns. I don't think there is an option to complain about car horns on 311 (only car alarms). NY is a great place for catching worthy moments. I really like this place that's why going to visit tis through this once again https://www.getbustours.com/2day-york-washington-baltimore-shenandoah-tour.html. I ma very excited for that and quite sure this would be just amazing for me.